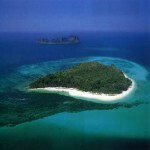 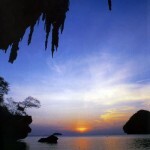 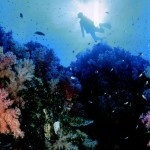 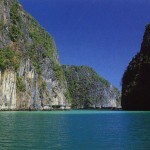 Ao Rai Le is another significant bay ofKrabiProvincein terms of tourism. 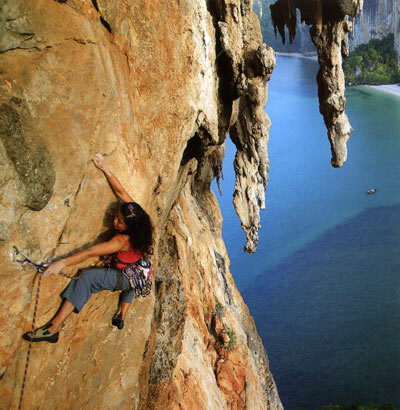 The white fine sand beach for relaxation is on West Rai Le Bay, while East Rai Le Bay is lined with rock climbing shops and famous training sites, as it is one of the most breathtaking rock climbing sites of the world. 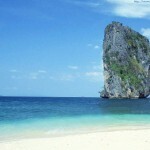 This is a great challenge and a chance to display your ardor and adventurism. 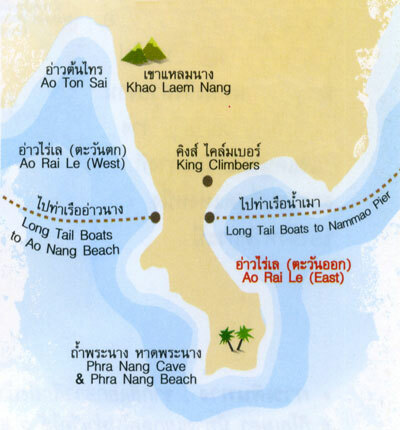 How to get there : FromKrabiTown,use Highways No.4034 and 4204 to the Ban Nam Mao lntersection and turn right into Ao Nam Mao,before taking long-tailed boat to Rai Le East beach.